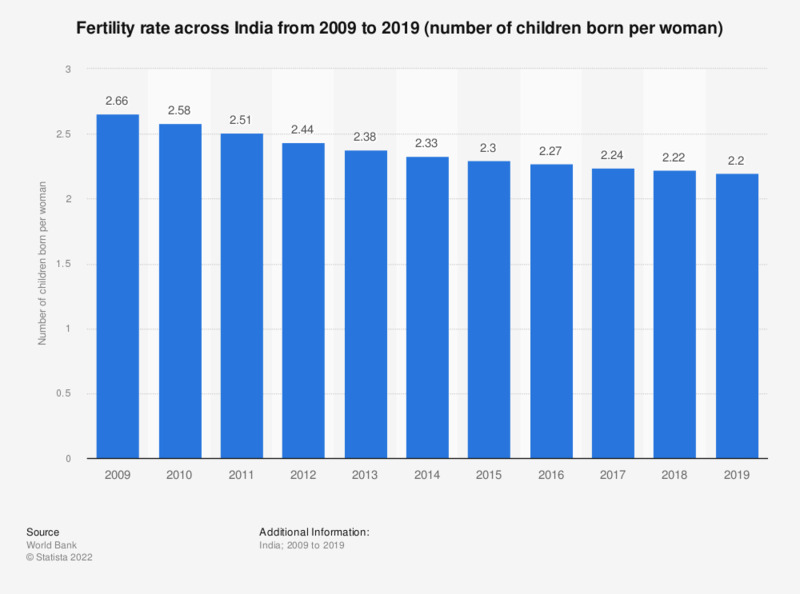 The statistic shows the fertility rate in India from 2006 to 2016. In the year 2016, about 2.33 children were born per woman of childbearing age. Despite a decreasing fertility rate, the total population of India is expected to increase over the next few years. Everything On "State of health in India" in One Document: Edited and Divided into Handy Chapters. Including Detailed References.